The promise of “big data” is clear — or at least it’s becoming clearer, as companies share their case studies and stories about how they used data from social media to structure a better ad campaign or when a public health official shares disease tracking information gleaned from smartphones. But there are still plenty of technical hurdles between today and the future that data can provide, according to Zachary Lemnios, VP for research strategy at IBM (s ibm). 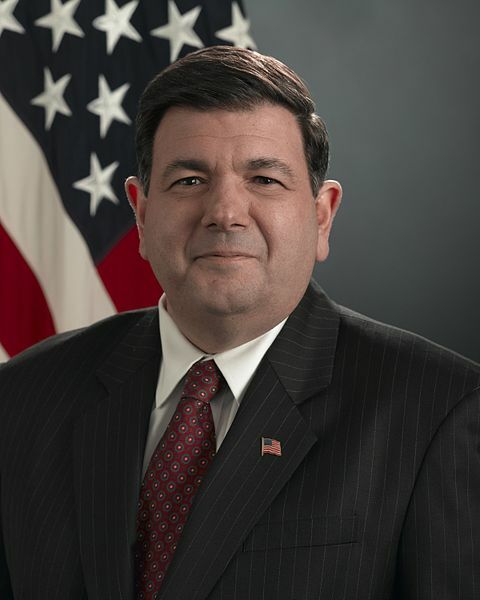 Lemnios is the former Assistant Secretary of Defense for Research & Engineering and has spent the last decade thinking about the intersection of technology and the military, including issues ranging from cyber security to big data. But in a conversation on Friday, held at the end of his first week employed by IBM, he shared with me his thoughts on artificial intelligence and what he sees as the challenges standing between the tech industry and the big data revolution. While some call data the new plastic or new oil, I am beginning to think of it as process in which we turn the most relevant bits about our behavior and health into digital bits that computers can understand. And then the computers do what they do best, which is parse that digital information and identify patterns that can then be acted upon. But before we can turn humanity and human behavior into machine-readable data and get the opinion of silicon brains, we have to deal with power consumption and errors. First off, Lemnios is keen on using artificial intelligence and machine learning as ways to help computers support humans in a way that’s not usually well articulated in the AI community. After talking to some researchers in the AI community, you get the impression that true AI will teach computers to think like humans. But Lemnios’ opinion is that modeling out a human brain in silicon has value, but that remaking a brain in silicon shouldn’t be a focus. His goal is to build applications that “converse” with humans and help spur new ideas and avenues of research. Maybe it’s a digital muse or a Software Socrates, but Lemnios thinks the convergence of data and cognitive computing (or AI) will deliver exactly that. But to get to that goal there are two problems he sees: One is delivering the computing required for such calculations without requiring a power plant, and the other is how to make computers autonomous enough so they can deal with flawed data. One reason many researchers are looking at how the brain is modeled is because it manages to do great gobs of computing very efficiently, which might address the power problem. But we are far away from modeling the human brain, so in the meantime he’s planning on looking at architectures and hardware to move and process petabytes of information efficiently. The other issue is more complicated — creating a machine learning algorithm that knows when data is faulty and then knows what to do about it much like Numenta, Jeff Hawkin’s startup hopes to do. “Data is not static .. it changes, and not only does it change but it could be ambiguous and incorrect — or it could be missing,” he said, and computers have to know how to recognize problems and then know how to work around them. He gave an example of a human finding themselves lost in a strange city with an appointment to get to. That person will very quickly figure out how to get to their appointment via directions on their smartphone or by hailing a cab. A computer in that situation might continuously reprise the faulty directions that got it lost in the first place or may not even realize it’s lost. But if computers are going to handle translating human behavior into insights that can then become actionable market or programs, they’ll have to recognize the weird glitches produced by user error, malicious tinkering or even just random corruption in files. With IBM’s resources behind him, perhaps Lemnios can lick this problem.